Wily Peralta resides in Santo Domingo, Dominican Republic with his wife, Denny, son, Wily, Jr., and daughter, Ciara…former teammate, Martin Maldonado, is his daughter's godfather...Since becoming a Major Leaguer, he's purchased and donated toys for more than 70 children each January at the school he attended as a child in the Dominican Republic (Samana)...Enjoys fishing and playing slow pitch softball during his free time. Made a career-high 37 appearances-all in relief-and posted a 3.67 ERA (14 ER in 34.1 IP), his lowest since 2014 (3.53 ERA), when he won 17 games in 32 starts with Milwaukee...Went 14-for-14 in save opportunities, becoming the first Royal to record at least 10 saves in a single season without blowing one…he and Ken Giles (26-for-26) were the only pitchers in the Majors in 2018 with a 100 save percentage (min. 10 saves)...He's the only active pitcher with a career save percentage of 100 (min. 14 saves)...Started the season at Omaha (AAA), where he went 0-1 with one save and a 4.37 ERA (17 ER in 35 IP) in 18 appearances (2 starts)...Selected from Omaha on June 17, and made his Royals debut the next night vs. Texas, allowing a run on one hit and three walks in 1.1 innings...Recorded 7.1 consecutive scoreless innings over eight appearances from June 20-July 14...Earned his first career save on June 25 vs. the Angels, in his 136th career outing (16th in relief) and just his fourth relief outing with Kansas City...Had a 1.26 ERA (2 ER in 14.1 IP) in save situations (including one in the 8th inning)…had a 5.40 ERA (12 ER in 20 IP) in non-save situations...Pitched in 12 of the Royals' last 23 games (from Sept. 7 on), including six saves from Sept. 8-25...Pitched a scoreless ninth inning on Aug. 24 vs. Cleveland, ahead of back-to-back walk-off HR by Ryan O'Hearn and Hunter Dozier in the bottom half…earned his second career relief win and first with Kansas City...Had a 0.92 ERA (2 ER in 19.2 IP) when pitching on one or zero days rest…had a 7.36 ERA (12 ER in 14.2 IP) when pitching on two or more days rest...Held left-handed batters to a .190 average (12-for-63). Split season between Milwaukee and Colorado Springs (AAA), making 19 appearances and eight starts in the Majors and 13 relief outings with the Sky Sox ... Opened the year in the Brewers' rotation and won his first three starts, while posting a 2.65 ERA (5 ER in 17.0 IP)… however, he was 1-2 with an 8.61 ERA (22 ER in 23.0 IP) over his final five starts, before moving to the bullpen ... Earned the win in his first relief appearance, tossing 2.0 hitless innings in a 6-3 triumph at Wrigley Field ... Pitched to an 11.94 ERA (23 ER in 17.1 IP) in his 11 relief outings, which included allowing runs in seven-straight appearances (May 26-June 19) ... Designated for assignment on July 29 and sent outright to Colorado Springs on Aug. 3 ... Allowed just one earned run in his last 11 appearances with the Sky Sox (July 18-end of season), posting a 0.66 ERA (13.2 IP) and a .149 opponents' average (7-for-47) ... Made one start for the Dominican Republic in the World Baseball Classic, tossing the first 4.0 innings in the 10-3 win over Colombia…allowed one run on two hits with one walk and six strikeouts, taking a no-decision. Went 7-11 with a 4.86 ERA in 23 starts...The Brewers went 9-14 in his starts...Produced 9 quality starts, going 3-4 with a 2.45 ERA in those starts (55ip, 15er)...Was the Brewers' Opening Day starter and took a 12-3 defeat on 4/4 vs. San Francisco.....was his first career Opening Day start (4ip, 6h, 5r, 4er, 2bb, 2k)...Was optioned to Triple-A Colorado Springs on 6/12 after going 4-7 with a 6.68 ERA over his first 13 starts (66ip, 49er)...Went 1-3 with a 6.31 ERA in 10 starts at Colorado Springs before he was recalled on 8/8...Went 3-4 with a 2.92 ERA in 10 starts with the Brewers after being recalled (61.2ip, 20er)...Tossed 4 consecutive quality starts to end the season, posting a 2.25 ERA (24ip, 6er)...Hit his first Major League homer on 6/11 vs. New York-NL with a 2-run shot off Logan Verrett...Notched the second double-digit strikeout game of his career on 8/30 vs. St. Louis (10k)...Following the season pitched for Cibao in the Dominican Winter League...Signed a 1-year contract on 1/13/17, avoiding arbitration. Went 5-10 with a 4.72 ERA in 20 starts…The Brewers went 9-11 in his starts…Produced 10 quality starts, going 4-3 with a 2.32 ERA in those starts (66ip, 17er)…Was on the 15-day disabled list from 5/25-7/27 with a strained left oblique, retroactive to 5/23…Went 1-5 with a 4.00 ERA in 9 starts prior to his DL stint (54ip, 24er) and 4-5 with a 5.43 ERA in 11 starts after being reinstated (54.2ip, 33er)…Was shut down for the remainder of the season on 9/23 due to left oblique tightness …Signed a 1-year contract on 1/15/16, avoiding arbitration. Entered the season as the top prospect in the organization for the second straight year according to Baseball America...Went 11-15 with a 4.37 ERA in 32 starts during his first full season in the Major Leagues...Was named to his first career Opening Day roster...Produced 17 quality starts.....the team went 14-18 in his starts...Was among the National League leaders in losses (2nd, 15), wild pitches (T6th, 12) and walks (T7th, 73)...Went 4-8 with a 6.08 ERA over his first 15 starts (80ip, 54er) and 7-7 with a 3.05 ERA over his last 17 starts (103.1ip, 35er)...Tossed the first complete game of his Major League career in a 2-0 win on 7/9 vs. Cincinnati (9ip, 3h, 4bb, 6k, 1hbp, 1wp).....Peralta became the first Brewers rookie to throw a shutout since Ben Sheets on 5/29/01 at St. Louis...Produced his second complete game of the season in a 2-0 loss to Felix Hernandez on 8/11 at Seattle (8ip, 4h, 2r, 2er, 0bb, 4k, 1hr, 1wp). Entered the season as the top prospect in the organization according to Baseball America. Spent most of the year at Triple-A Nashville, where he went 7-11 with a 4.66 ERA in 28 starts. Ranked ﬁfth in the Paciﬁ c Coast League in strikeouts (143). Went 6-3 with a 3.32 ERA over his last 15 starts with Nashville (81.1ip, 30er). Was named Paciﬁc Coast League Pitcher of the Week for 7/2-7/8. Had two stints with the Brewers (4/21-4/23 and 9/4-end). Went 2-1 with a 2.48 ERA in 6 appearances (5 starts) with Milwaukee. Produced 3 quality starts ... the team went 3-2 in his starts. Made his Major League debut in relief on 4/22 vs. Colorado (1ip, 3h, 1r, 1er, 0bb, 1k) ... his ﬁrst career strikeout was Tyler Colvin. Made his ﬁrst Major League start and earned his ﬁrst win in an 8-5 victory on 9/5 at Miami (6ip, 5h, 3r, 3er, 4bb, 3k). Tossed 8.0 innings of 2-hit shutout ball in a 3-0 win on 9/16 vs. New York-NL (1bb, 5k). Enters 2013 as the top prospect in the organization according to Baseball America. Went 8-6 with a 3.79 ERA in 27 games (25 starts) between Class-A Brevard County andDouble-A Huntsville ... Enters 2011 as the third-best prospect in the Brewers organization according to Baseball America. June 17, 2018 Kansas City Royals selected the contract of RHP Wily Peralta from Omaha Storm Chasers. April 10, 2018 RHP Wily Peralta assigned to Omaha Storm Chasers from Idaho Falls Chukars. April 3, 2018 RHP Wily Peralta assigned to Idaho Falls Chukars from Omaha Storm Chasers. April 2, 2018 RHP Wily Peralta assigned to Omaha Storm Chasers. March 31, 2018 Kansas City Royals sent RHP Wily Peralta outright to Omaha Storm Chasers. March 29, 2018 Kansas City Royals designated RHP Wily Peralta for assignment. 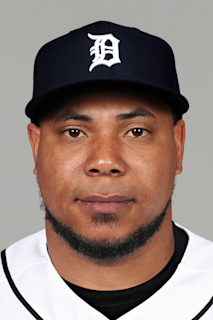 December 5, 2017 Kansas City Royals signed free agent RHP Wily Peralta. October 3, 2017 RHP Wily Peralta elected free agency. September 10, 2017 RHP Wily Peralta assigned to Biloxi Shuckers from Colorado Springs Sky Sox. August 3, 2017 Milwaukee Brewers sent RHP Wily Peralta outright to Colorado Springs Sky Sox. July 29, 2017 Milwaukee Brewers designated RHP Wily Peralta for assignment. July 23, 2017 Milwaukee Brewers activated RHP Wily Peralta from the 10-day disabled list. July 5, 2017 Milwaukee Brewers sent RHP Wily Peralta on a rehab assignment to Colorado Springs Sky Sox. June 21, 2017 Milwaukee Brewers placed RHP Wily Peralta on the 10-day disabled list. Right calf strain. January 11, 2017 RHP Wily Peralta assigned to Gigantes del Cibao. August 8, 2016 Milwaukee Brewers recalled RHP Wily Peralta from Colorado Springs Sky Sox. June 12, 2016 Milwaukee Brewers optioned RHP Wily Peralta to Colorado Springs Sky Sox. May 9, 2016 Wily Peralta roster status changed by Milwaukee Brewers. May 5, 2016 Milwaukee Brewers placed RHP Wily Peralta on the paternity list. July 28, 2015 Milwaukee Brewers activated RHP Wily Peralta from the 15-day disabled list. July 15, 2015 Milwaukee Brewers sent RHP Wily Peralta on a rehab assignment to Biloxi Shuckers. July 11, 2015 Milwaukee Brewers sent RHP Wily Peralta on a rehab assignment to Wisconsin Timber Rattlers. October 13, 2012 RHP Wily Peralta assigned to Gigantes del Cibao. September 4, 2012 Milwaukee Brewers recalled RHP Wily Peralta from Nashville Sounds. April 24, 2012 Milwaukee Brewers optioned Wily Peralta to Nashville Sounds. April 21, 2012 Milwaukee Brewers recalled Wily Peralta from Nashville Sounds. March 18, 2012 Milwaukee Brewers optioned Wily Peralta to Nashville Sounds. October 17, 2011 Wily Peralta roster status changed by Milwaukee Brewers. August 11, 2011 RHP Wily Peralta assigned to Nashville Sounds from Huntsville Stars. May 14, 2011 Wily Peralta roster status changed by Huntsville Stars. May 5, 2011 Huntsville Stars placed RHP Wily Peralta on the 7-day disabled list. March 25, 2011 Milwaukee Brewers optioned RHP Wily Peralta to Huntsville Stars. November 17, 2010 Milwaukee Brewers selected the contract of Wily Peralta from Huntsville Stars. July 22, 2010 Wily Peralta assigned to Huntsville Stars from Brevard County Manatees. April 6, 2010 Wily Peralta assigned to Brevard County Manatees from Wisconsin Timber Rattlers. October 16, 2009 RHP Wily Peralta assigned to Gigantes del Cibao.